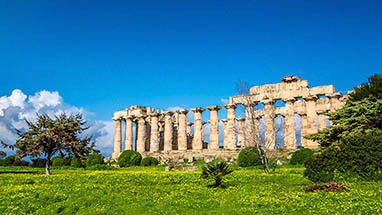 Sicily always has surprises in store. On May 6, 1906, the oldest auto race in the world started here: the Targa Florio. "Targa" means badge or medal, and "Florio" was the name of the founder, Vincenzo Florio. The Florios were among the richest and most successful families in Sicily. Vincenzo Florio had more than enough money as a result to indulge in modern technical marvels – but at that time, these weren't mobile phones and computers, but airplanes and automobiles. The Targa Florio was a mountain race which introduced the world's first drivers to a course through one of the most beautiful mountainous landscapes in Sicily: the Madonie. The track had nearly 1,000 curves and in many places was not even paved. It went through small towns and villages, with cars wildly speeding past rabid fans – who had been warned beforehand to keep their children and pets indoors. But those worried about the wildlife in the Madonie today needn't worry: the automotive madness ended in 1977. A fatal accident brought organizers back to sanity. Today a car race through the Madonie would be unthinkable. 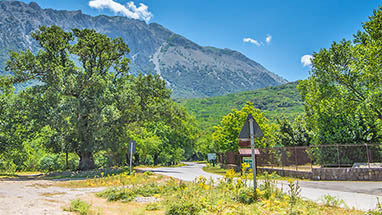 It is one of the most important nature reserves in Sicily and those enjoying holidays in Sicily look to the Madonie primarily for rest. But once a year there's an exception to this rule. 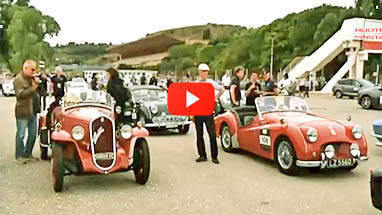 The Targa Florio is brought back – as a classic car tour. And of course, they pass down the traditional route through the Madonie, but as part of a bigger tour through Sicily. The Targa Florio Classic takes goes past natural wonders like Etna and travels near cultural attractions like the temples at Selinunte. The event is no longer all the rage, but for those who go, "being there is everything". Sicily vacationers can relax and enjoy the Targa Florio Classic – even if they don't call themselves old-timers.